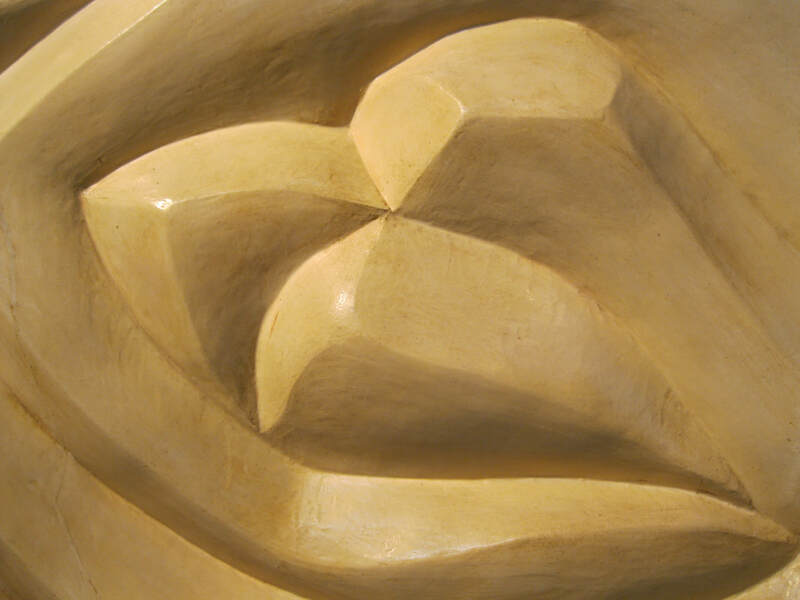 “The Lovers”.High relief sculpture 84 1/2 inches high by 32 inches wide. Thickness ranges from 2 to 3 1/2 inches. 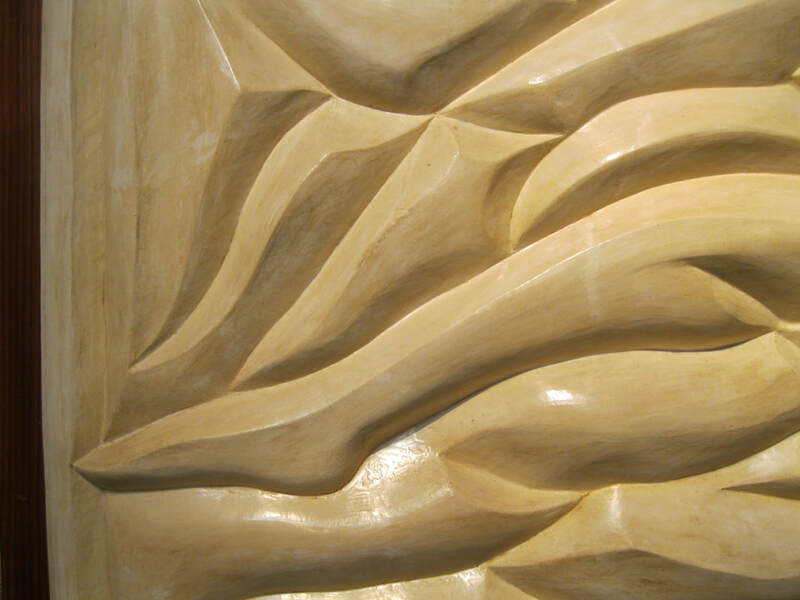 This sculpture is mounted on a red wood frame.The material is FGR–95, an extremely hard and durable plaster.for interior installation.This sculpture is extremely heavy and must be mounted to the wall by a professional carpenter or contractor. Price:14,000. Free shipping in the continental US. Ready to ship.